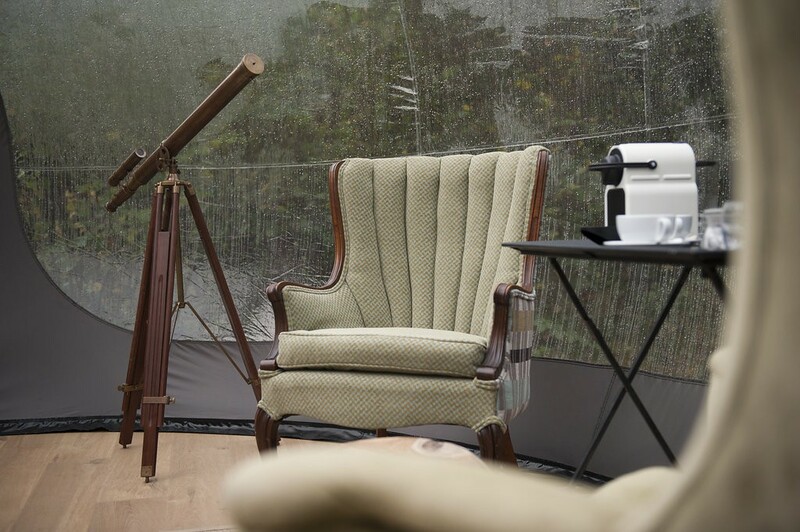 Enjoying the great outdoors usually stops when you need to slip into your cabin or tent for some shuteye. 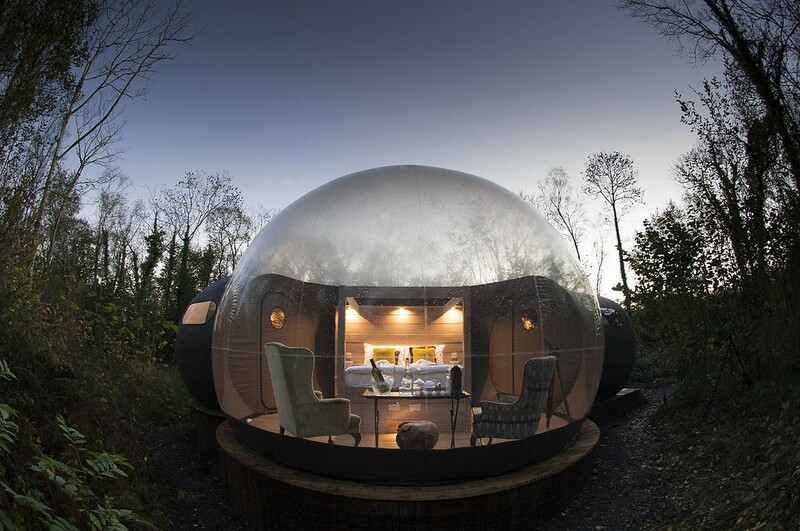 Keep soaking in Mother Nature as you drift off in these Bubble Domes, which are located in Northern Ireland and offer incredible views while you’re under the covers. 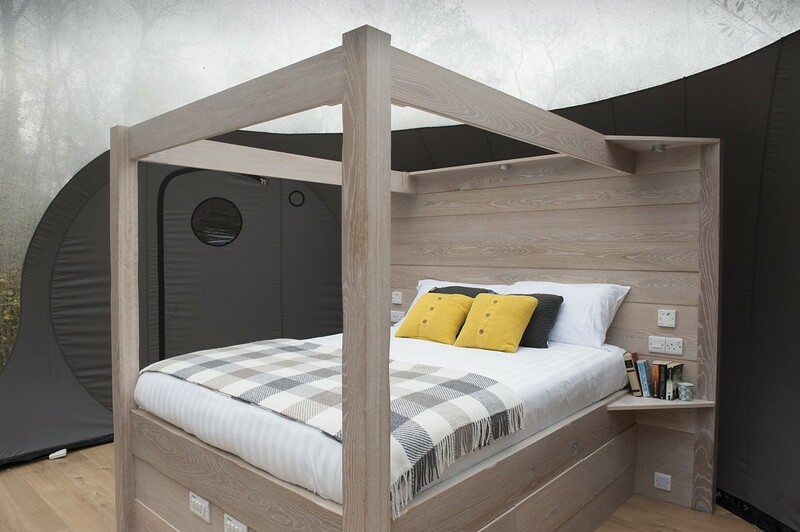 Surround yourself with 180° transparent walls that bring the serenity of the forest and the night sky to your stay at all times. 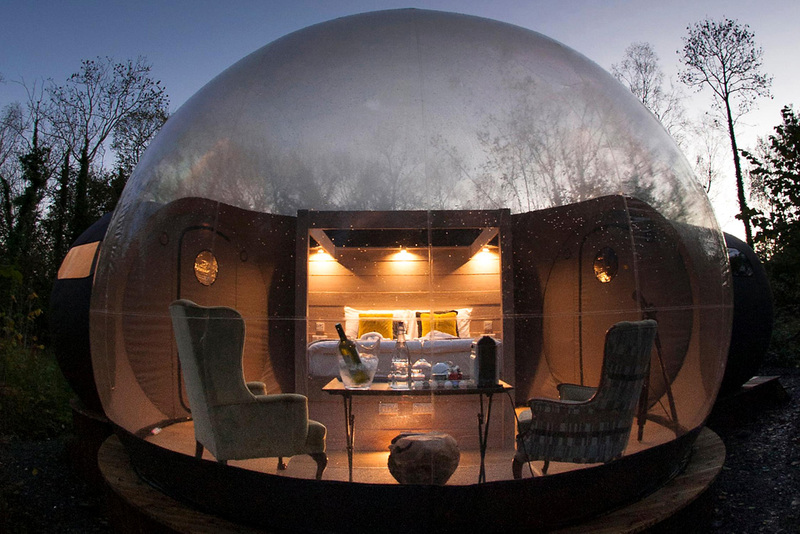 Each Bubble Dome comes complete with a four poster bed, ensuite bathroom, coffee machine, robe, and daily breakfast, which you can eat while you watch the sun rise. 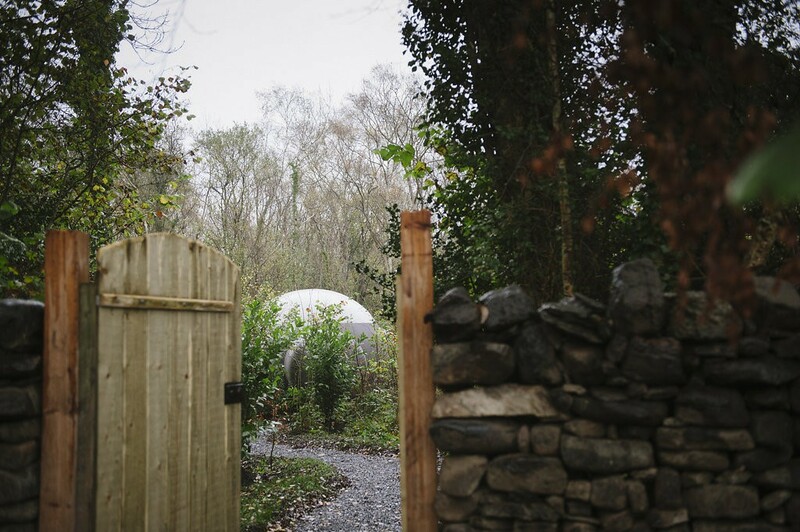 Set on a secluded peninsula in Aghnablaney, Ireland, the domes make for a stunning trip into Mother Nature’s embrace. 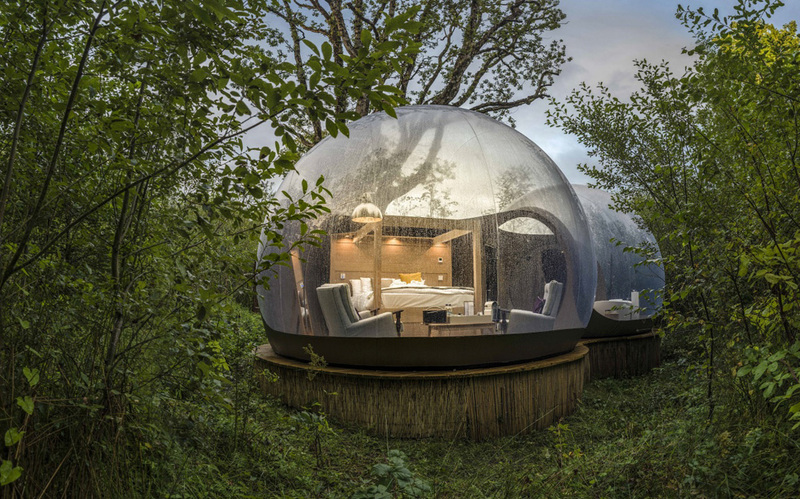 If like such transparent houses – check blob VB3.